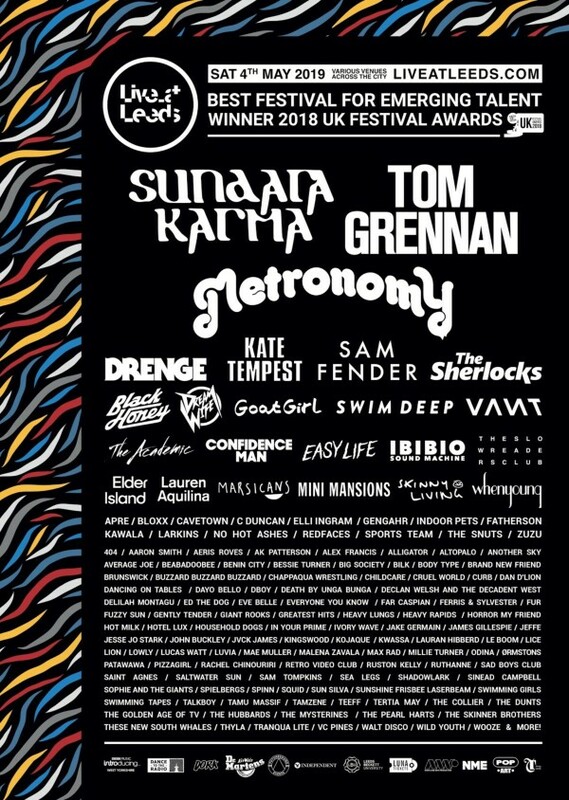 Live at Leeds 2018 is one of the leading metropolitan festivals in the UK, with over 100 bands performing in some of Leeds most iconic pubs and clubs from lunch through to the early hours. The festival has won numerous awards including best Best Metropolitan Festival’ at the UK Festival awards 2014. Live at Leeds is a showcase more of the region's emerging musical talent alongside specially selected national acts at the only music festival in the heart of Leeds city centre.